LEGACY PRODUCT – Updated to UHDN-4P. 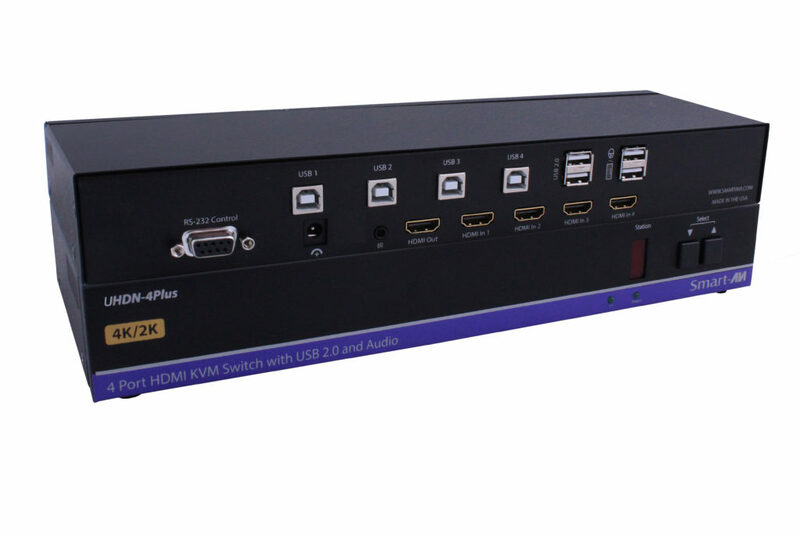 The UHDN-4Plus is a dedicated multi-platform KVM switch capable of managing four computers on one 4K Ultra-HD HDMI 2.0 screen using USB 2.0 keyboard-mouse. 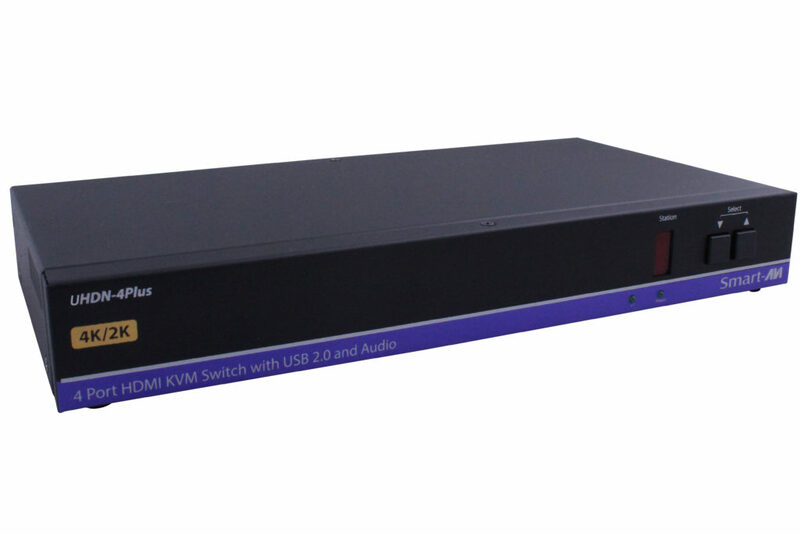 This is one of the first KVM switches on the market to feature 4K (3840x2160 @60Hz) support for workstations. What is UHDN-4Plus Used For? The UHDN-4Plus excels at remotely supervising and operating up to four computers from a single PC workstation. With its 4K-support, the UHDN-4Plus is especially useful for visual command applications where minute detail makes all the difference. Corporate IT facilites, data centers, transportation authorities, production studios, and more can benefit from UHDN-4Plus' exceptional video output and intuitive multi-computer command. 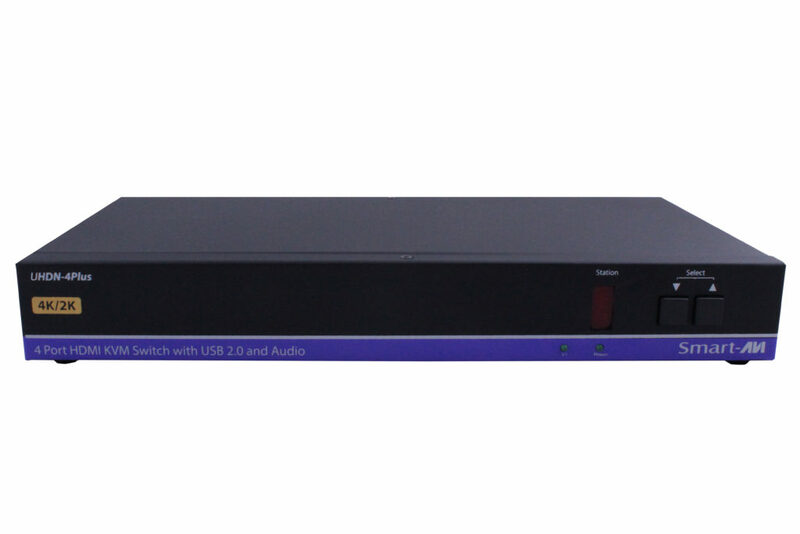 The UHDN-4Plus is plug-and-play, so it is ready to use as soon as it is hooked up to computers and a power source. From there, the UHDN-4Plus switches control between any four connected computers using keyboard hot-keys, the device's easy front-panel selector buttons, or even RS-232 commands.